Additive Free Lifestyle. Simple Choices. Massive Impacts. There’s bad stuff in a lot of food, causing many issues for us and our kids! Isn’t it time for us to look at the safer alternative? To empower ourselves with the knowledge that will protect our families from any further harm! Since 2013 we have transformed 1,000’s of people’s lives through continuous learning, research, and sharing our products, meal plans, courses and leadership. GIVE IT TO ME PLEASE! 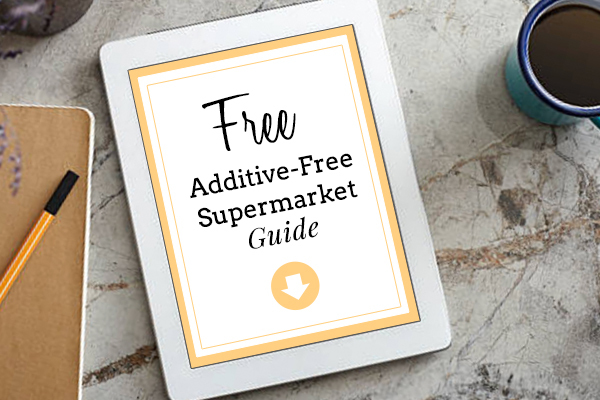 It is important that the products we stock are nourishing and not harmful so that we can have the greatest impact on your additive-free journey. If you need inspiration in the kitchen, then you have come to the right place. Our recipes are easy, fun, tasty and budget conscious, just what every family needs. Real food, real easy! Get inspired and join our community of over 10,000 listeners. You’ll love our humour and genuine passion as we discuss everything from meditation to money, from fitness to food groups and everything in between. 30-days to empower you with knowledge, enrich you with happiness and educate you about the harmful chemicals used in the everyday food we feed ourselves so that you can lead the way and feel great! It’s nothing short of life changing! It didn’t take us long before realising the incredibly positive effects that dōTERRA Essential Oils have in our lives. We use them for everything from natural home remedies and relaxation through to flavouring our foods and increasing our energy. It didn't take us long before realising the incredibly positive effects that dōTERRA Essential Oils have in our lives. We use them for everything from natural home remedies & relaxation through to flavouring our foods and increasing our energy. Set yourself up each and every week with our easy meal planning program. Each recipe idea is created and tested in our very own kitchen so we know they are simple, tasty and free of nasty chemicals. "The changes we have seen in our children have been phenomenal. We will not take this for granted again!" "WOW! what can I say? I had no idea what we have been eating. It has really opened my eyes and answers a lot of questions into behaviours etc..."
"I can't thank you both enough, I also have my sister to thank too for encouraging me to do this course and supporting me. This course has helped my whole family be healthier and happier!" "I am looking forward to healthifying my families eating by cutting out those additives and preservatives and making more food (especially snacks) myself. Thank-you!" Simply subscribe to receive our email updates and we will send you our best selling recipe book for FREE!